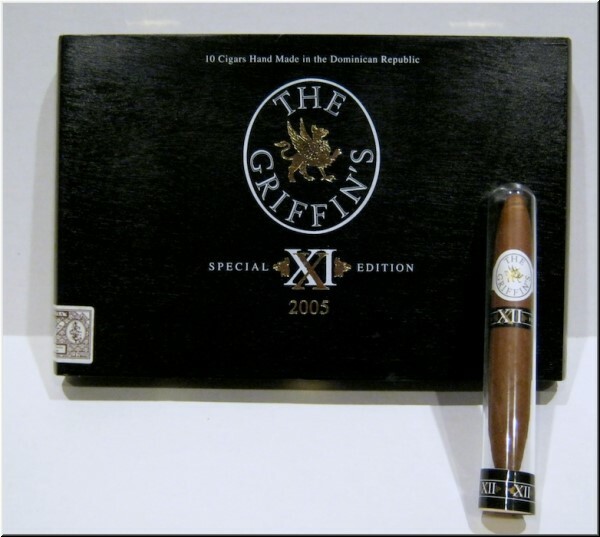 This special 2012 Limited Edition cigar celebrates 28 years of the Griffin's brand. It is a classic Perfecto shape in a presentation glass tube. The components are, Ecuadorian wrapper, Mexican Sumatra binder and a filler consisting of Dominican Ligero and Seco. This blend results in refined taste with delightfully spicy attributes. Another instant classic in the line of Griffin's Limited Editions.